Today we celebrate something that we all know and love. It’s important to anyone who ever sent a package by mail, received a package by mail, or sought a therapeutic solution to boredom. Today is National Bubble Wrap Day. Let’s take a closer look at this packing material, turned cultural obsession and learn a little about it today. Believe it or not, bubble wrap was originally invented to be used as wallpaper—not packing material. 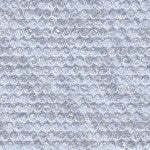 In 1957, an engineer named Fielding and an inventor, Chavannes, put their minds together to create a textured wallpaper by sealing two shower curtains together, capturing air bubbles in-between. Their ‘wallpaper’ flopped, but in the next three years, a member from Fielding and Chavannes’ marketing team, named Bowers, suggested using it for secure shipping of breakable items. By 1960, Fielding and Chavannes founded the Sealed Air Corporation to sell what they called ‘Bubble Wrap’. A lot, actually! The same way that the popularized Kleenex brand name started being used to refer to facial tissues, Bubble Wrap is not a generic term for packing material, but actually the product name specific to Sealed Air’s invention. 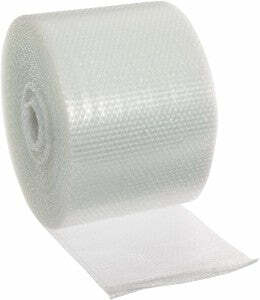 We just call it all ‘bubble wrap’ because of how catchy the name is. Other manufacturers of air bubble rolls, however, are OmniStar Creative, Alliance Rubber, RDH Packing Solutions, and many more. Of course we love Bubble Wrap for delivering all our breakables to us in one piece, but our love for it doesn’t stop there. Its practical use may be over, but, now that its job is done, who can resist releasing all those trapped little pockets of air? Denver Boy Scouts know how fun popping bubble wrap can be! Just two years ago, they set a world record for Most People Popping Bubble Wrap at once—2681 Scouts. Way to go, fellas! Everyone is worried about sustainability nowadays—and rightly so. One thing we don’t have to worry about, however, is bubble wrap. It was a revolutionizing product in the first place, reducing package size, package weight, and using less protective material—not to mention reduced damage to shipments as well. And as for the product itself, most bubble wrap manufacturers (like Sealed Air and the others listed above) now make bubble wrap from 100% biodegradable material. A favorite for many, popping bubble wrap is considered exciting (like when you jump on a sheet and burst a bunch all at once) as well as therapeutic (like methodically popping a whole sheet of bubble wrap one at a time). Bubble wrap popping has even inspired some creativity as you can see in the video below. Have fun popping your bubble wrap today and, as always, thanks for reading.